Since becoming the media star at the 2012 Consumer Electronic Show as the first UL Listed in-wall charging solution for charging/powering up to four Apple iDevices, Android devices, and/or other USB chargeable devices simultaneously, the Power2U continues to earn both industry and general business accolades. It recently was a winner in the "Excellence in Custom Installation Technologies and Products" category of the 2012 CustomRetailer EXC!TE Awards. It was awarded the coveted 2012 People's Choice Stevie® Award in the Favorite Consumer Electronics Product category at the 2012 American Business Awards. And the Power2U also was recently recognized as the Silver winner at the Best in Biz Awards 2012 in the Consumer Product of the Year category. The Power2U has also captured broad praise from independent product review sources. Icrontic gave it a silver 'Outstanding Product' award while saying, "Every household should have at least one." Stuff Parents Need praised its charging simplicity and said, "It's pretty much awesome … now that I have one, I wish I had 2 or 3 more." Game Usagi rated the Power2U a 9.6 and gave it the 'Editor's Choice Award' saying, "…it's hard not to recommend it for easily and unobtrusively charging your USB devices." There's the practical side of Power2U use as well. Well Connected Mom said, "I love it … you can plug in your phone and your tablet along with your toaster oven and coffee maker or electric shaver and electric toothbrush." Ideal for homes with users of multiple USB chargeable devices, the Power2U makes a perfect holiday gift as proven by early shoppers who helped make it a best-selling gadget accessory on this year's busy Black Friday and Cyber Monday shopping days. 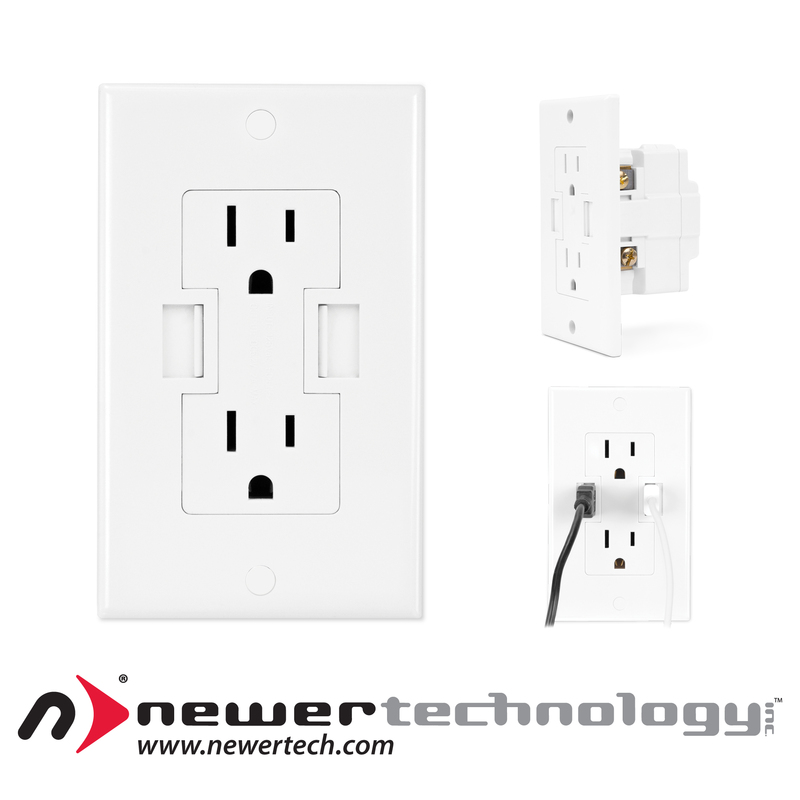 The Power2U is available in white and three decorator colors to complement any room in your home while transforming an ordinary wall into a modern, centralized charging location.